Leases secure the cash flow that emanates from most investment property and in many cases can underwrite the value of the property. Lewis O’Brien & Associates assists with all aspects of leasing – from advising property developers and owners on tenant related matters, interpretation of obligation pursuant to leases, incentive and fitout contracts related to landlord incentives, licences and car parking agreements, advising on enforcement proceedings, renewal of leases and assignment (transfer) of leases. Our experienced team is well-informed on Australia’s dynamic and evolving leasing environment, and always up-to-date on legislative changes. We can subsequently provide exceptional advice on retail, general commercial and residential leases and the legislative regimes prescribed in the different jurisdictions around Australia. 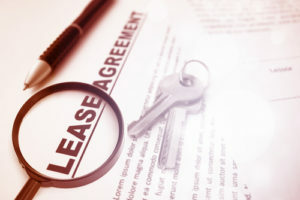 We also act for tenants; providing professional advice on the draft lease and negotiating changes to get the best possible lease organised for them.